On this date in 1585, a Welsh doctor convicted of attempting to assassinate Queen Elizabeth I paid the penalty of treason at Westminster. 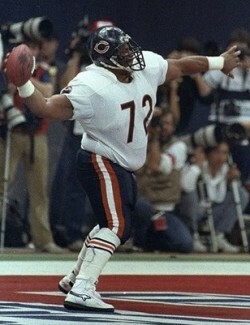 Not to be confused with William “The Refrigerator” Perry. Whether William Parry really did so plot is a bit obscure, but as a spy and double agent who made the bread to service his considerable debts by informing on supposed Catholic plots against Her Majesty, he’d been walking a dangerous line for several years. If the extensive account of the trial given in the public-domain The Lives and Criminal Trials of Celebrated Men is to be credited, Parry remarkably pled guilty to treason — portraying himself as a sort of off-the-wagon Catholic, continually plagued by and resisting the temptation to plant a blade in the queen — and played for clemency. Death I do confess to have deserved; life I do with all humility crave, if it may stand with the Queen’s honour and policy of the time … Pardon poor Parry and relieve him [of his troubled conscience]. He then embarked on a strange hair-splitting dispute with the judges over whether he had ever really meant to kill Elizabeth. He was hung, drawn and quartered at Westminster within a fortnight, now maintaining his total innocence — notwithstanding his epigram in doggerel. * Possibly a relative of fugitive Catholic noble Charles Neville, Earl of Westmoreland.